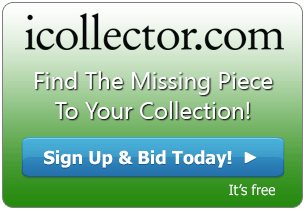 RLP Auctions is presenting their next auction on September 11th with live bidding on iCollector.com. 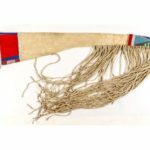 This auction has prepared over 170 lots selling to the highest bidder with selections of Cowboy and Americana collectibles, Native American art, firearms, gold pieces, and tack items. The live auction takes place from the RLP Auction Barn in Victor, Montana; with bidders from around the world joining via online bidding. 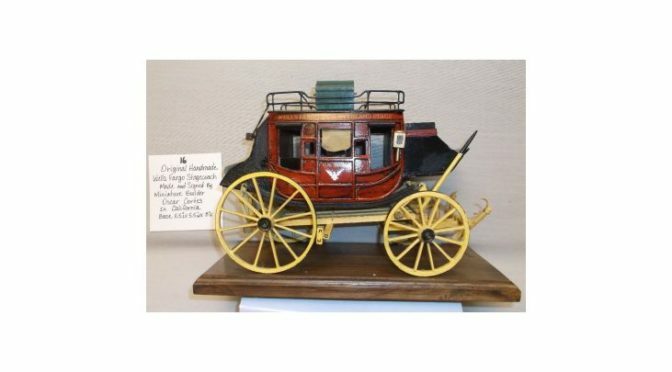 A great collectible miniature stage coach is up for grabs at Lot 16. This is a model from Wells Fargo Stage Lines and a US Mail Stage Coach. It is a beautiful hand made piece from Oscar Cortes and signed by the artist. The base measures 11.5” by 5.5” by 8” in height. There is a beautiful array of photos in the online catalog and bidding opens at a remarkable 10 dollars with no reserve. This lovely piece will look great in display with other Western style collectibles. 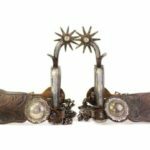 RLP has put some great pairs of spurs into the auction. Lot 19 is a pair of F Schultz 147 silver inlaid drop shank spurts. They have barrel chap guards and F Schultz spur straps and it is etched on the inside. Bidding for these is expected to rise to several hundred dollars due to the quality of the pieces. 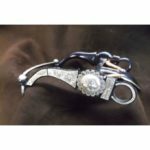 Further at Lot 30 is an Inside Marked Mike Morales pair of spurs. 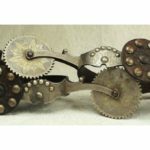 They are silver inlaid with drop shank and hart conchos on the straps. These are a great value opening at 10 dollars and will hammer to the highest bidder. One of the highlighted pieces of Native American work is at Lot 32. Presented here is a bead modoc ladies carrying bag with handles. It is 18 inches by 10 inches and is a beautiful collectible piece. Photos are showing in the online catalog. Another beautiful beaded bag is available at Lot 72. This is a Beaded Plains bag made from Elks leg and is a real highlight of quality work. RLP Auctions has taken some great photos for this bag and are worth inspection. Some great Winchesters make an appearance on the auction block. Lots 151 to 157 offer a selection of various models to chose from. The highlight, at Lot 156, is a Winchester Model 1886 Rifle, .40-82, WCF with Octagon Barrel 1888. The serial number is 6988. This is an excellent highlight of the sale and a worthy collector’s piece. The auction opens for live bidding at 1PM Mountain Time on Sunday September 11th, 2016. Included in the live bidding will be an audio feed to deliver the action anywhere in the world. Absentee bidding can be done at anytime leading up to the sale. RLP Auctions has carefully studied each piece up for sale and will be happy to answer any questions through email or telephone.